This eyeshadow palette is very Spring and Summer appropriate with lots of pink and lilac tones it is a great addition to your collection for the warmer months. The packaging of this palette is identical to the two previous palettes in a hard case tin with magnetic closure. The packaging itself is a baby pink colour with indented love heart pattern which replicates what the eyeshadow pans inside look like. 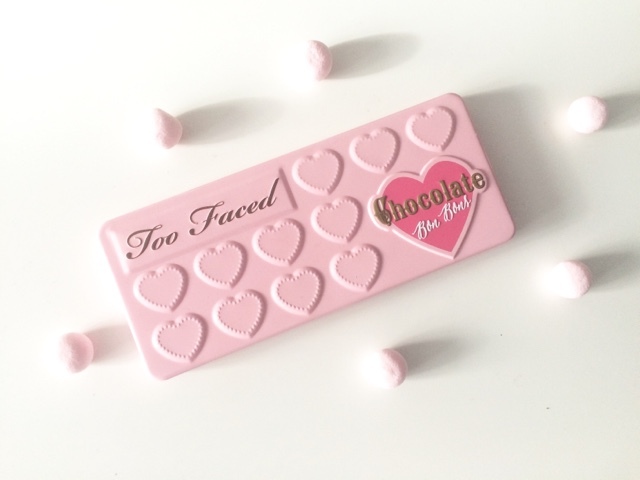 The 'Too Faced' logo is embossed in a chocolate brown shade at the top left hand corner. This eyeshadow palette contains 16 shadows ranging from matte, satin, shimmery and glittery eyeshadows. This palette retails for £39. I personally get a lot of use out of this palette however if you already own the previous two palettes, this palette may not be necessary to purchase. My favourite shades in the palette which I have been using daily are Cashew Chew for a light transition shade, Almond Truffle for adding more depth through the crease, Bordeaux for adding shade in the outer V of the eye and then Satin Sheets in the centre of the eyelid and the inner corner for highlighting purposes. Too Faced is such an amazing brand. My favourite products are definitely the Milk Chocolate Soleil Bronzer & Chocolate Eye Palette. 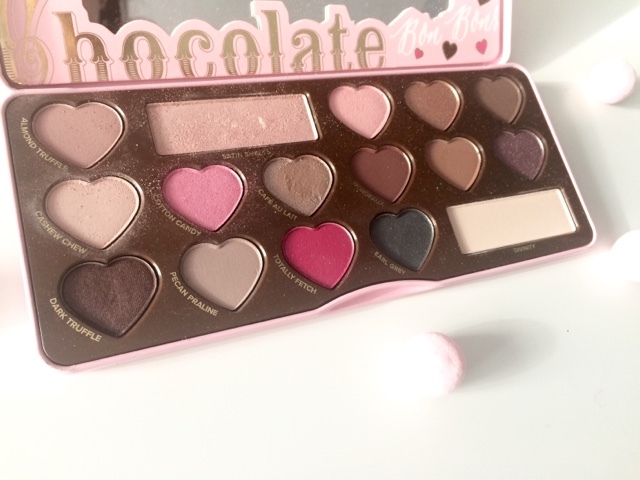 This is such a gorgeous palette, I want it so bad! I have the Natural Eyes palette and the quality is amazing, love Too Faced! I love too faced,I just picked up this palette and looking forward to road testing it this weekend! I also have the full bronzer wardrobe which is just heaven, so have high hopes for this now!